1. Heat ½ tablespoon olive oil in a large skillet over medium heat. 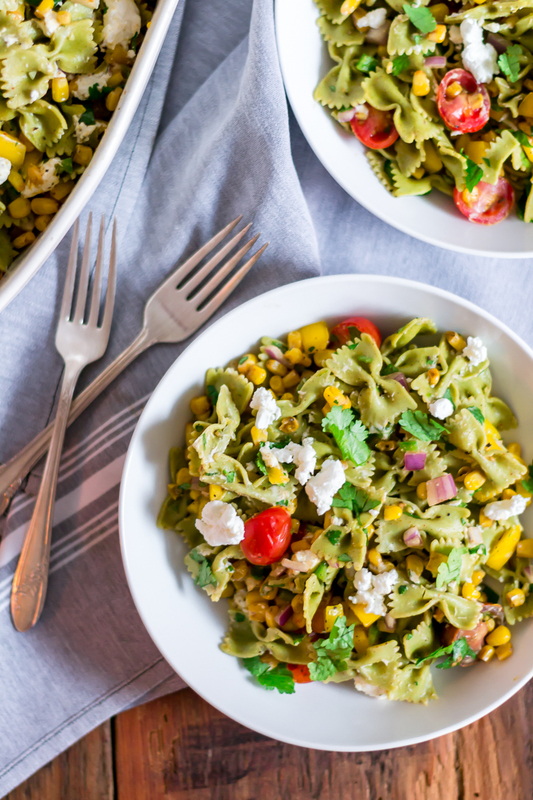 Once oil is hot, add the thawed corn, chili powder, ground cumin, and a healthy pinch of fine sea salt and pepper then stir to coat using a wooden spoon. Cook, stirring occasionally, until corn is slightly charred – about 6-8 minutes. Remove from heat then allow corn to cool slightly. 2. 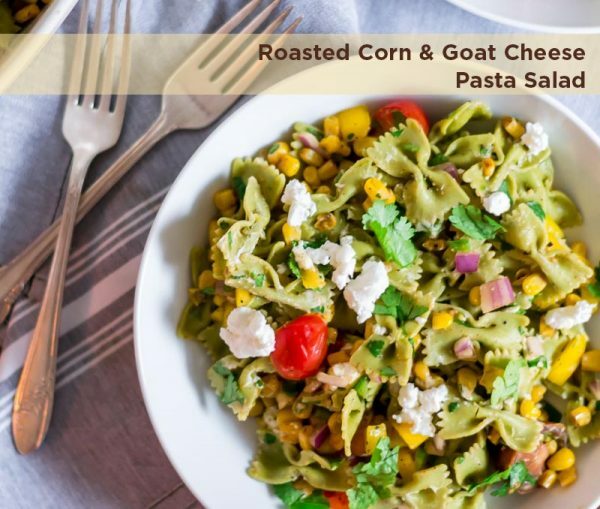 Add cooked pasta, bell peppers, onion, jalapeños, cilantro, cherry tomatoes, lime zest and juice, goat cheese, remaining 2 tablespoons olive oil, and cooked corn to a large mixing bowl. Toss until well combined then season with sea salt and black pepper to your liking... enjoy!